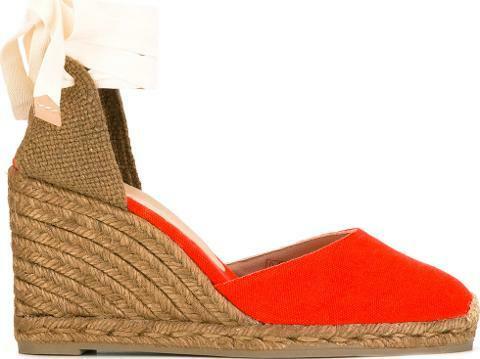 Mandarina red cotton, jute and leather Carina espadrilles from Castañer. Size: 35. Gender: Female. Material: Cotton/Jute/Leather/rubber.